Hello! 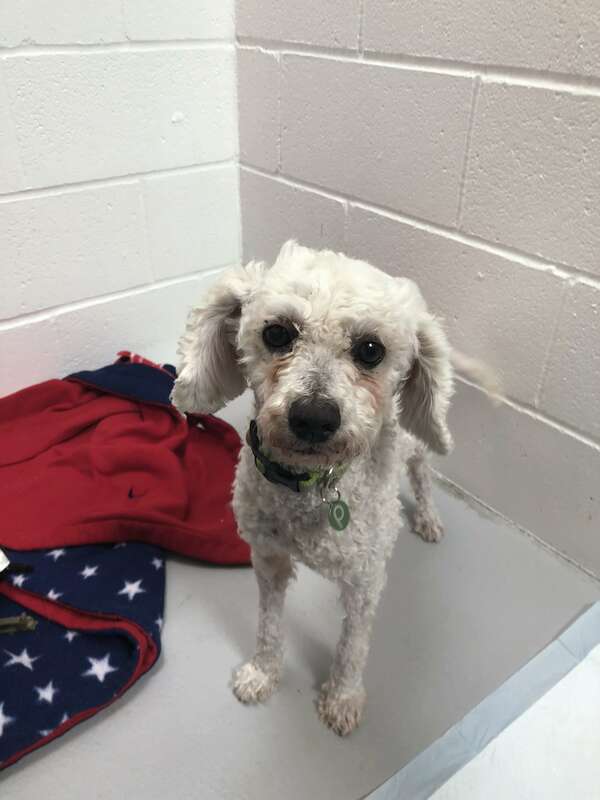 My name is Hugo and I am a handsome 10 year old poodle mix weighing in at 20 lbs. Did you know that my name means “bright in mind and spirit”? Well it fits me perfectly because I am a sweet, smart, and sophisticated guy who is outgoing, yet independent. I can be a little shy at first with new people over 12 (and a little camera shy too), but open up quickly with a treat and a nice walk around the block. I really love being outside on my walks and seeing/smelling the world around me. I would just adore a jaunt in Forest Park or run around on Sauvie Island. Wherever we go, I am always happy and have that pep in my step! I do enjoy romping around with my dog pals and wouldn’t mind a mellower pup companion in the home. Even those kitties can join us too! I am a pretty quiet guy who likes to do things on my own sometimes, but if there are cuddles involved, you know I will be right by your side! Smart and good looking, what more could you ask for?! Fill out an application today, so we can meet. 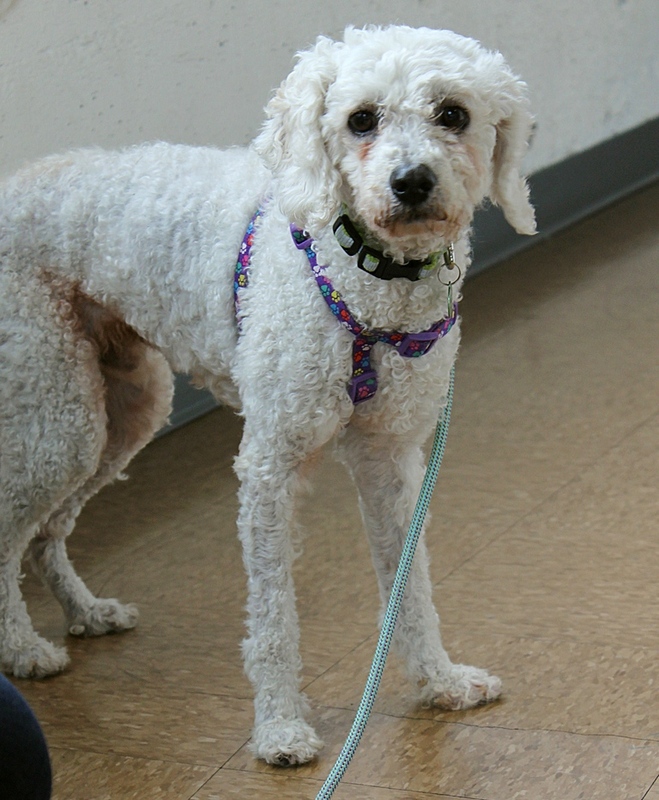 I come to you vaccinated, micro-chipped and neutered with an adoption fee of $350.